The Rouhani Government has backed down on its criticism of the Guardian Council’s disqualification of thousands of candidates for next month’s elections in Iran. 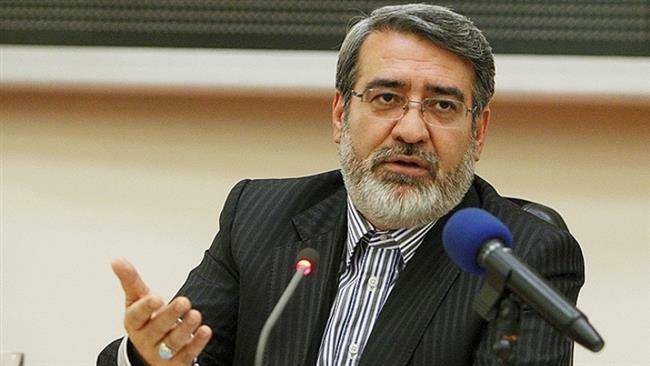 Interior Minister Abdolreza Rahmani Fazli expressed “satisfaction” on Thursday with the Council’s review of the disqualification of 60% of the candidates for the 290-seat Parliament and 80% of the applicants for the 88-member Assembly of Experts, which chooses the Supreme Leader. The number of those who were accepted is such that we will have good competition among candidates….God willing, the framework of the Constitution will be implemented, the rights of people will not be damaged, and a healthy electoral competition will take place. It was unclear whether the Government’s shift was because of a significant reinstatement of candidates, or whether it had given way before the Council, whose 12 members are appointed by the Supreme Leader and the judiciary. The Council is expected to send a revised list of candidates to the Interior Ministry by Friday. After a last appeals process for disqualified candidates, the Council will release the final list on February 16, with the elections 10 days later. Last month, the Council sparked political in-fighting when it purged the Parliamentary list of more than 6,000 candidates, including 50 current MPs and 99% of the 3,000 reformist applicants. The Supreme Leader supported the decisions, but President Rouhani — who had tried since last summer to limit the Council’s vetting powers — challenged what he said was a process leading to a “one-party state”. Instead of giving way, the Council then approved only 166 of 800 candidates for the Assembly of Experts, including the grandson of the founder of the Islamic Republic, Ayatollah Khomeini. Hardliners and some conservatives fear that a centrist bloc around Rouhani and former President Hashemi Rafsanjani, possibly allied with reformists, will gain influence in the elections. They have accused their rivals, including Rafsanjani, of leading a foreign-backed “sedition” to undermine the Islamic Republic. Rafsanjani challenged the Council earlier this week, asking, “Where did you get your qualifications? Who allowed you to judge?”. Hardliners responded that the former President — who is hoping to regain the chair of the Assembly of Experts — is “deviant” and “corrupt”. Iranian media have confirmed the deaths of another 13 troops, including a Colonel and a 1st Lieutenant, in Syria. Since Monday, 25 deaths have been reported as Iranians fight alongside the Syrian military, Hezbollah, and foreign militias in an offensive north of Aleppo city. Among the casualties was Brigadier General Mohsen Ghajarian. Iranian media have reported on 161 casualties, including nine commanders, since Tehran sent in more troops alongside the start of Russia’s bombing campaign in early October. NextMonocle 24: Will Assad & Russia Capture Aleppo?